When we imagine near-future worlds in games we tend to focus on the military implications: the adaptive camouflage of Ghost Recon or the exoskeletons of Call of Duty: Advanced Warfare. Zerocar dares to dream differently, imagining a racing landscape dominated by electric-powered hypercars. 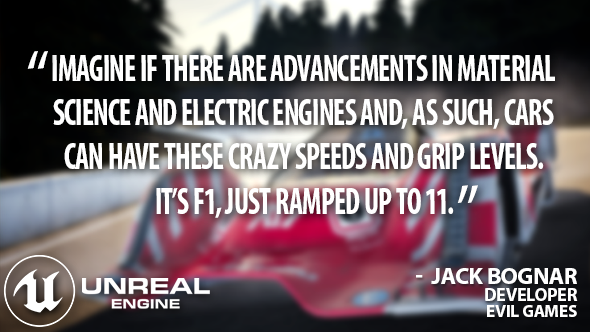 After years spent mimicking contemporary racing at Codemasters, developer Jack Bognar is pushing Unreal Engine 4 into a realm of ever-so-slightly-impossible speeds. 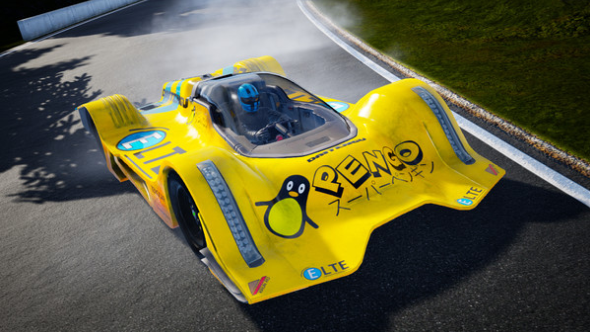 Related: the best racing games on PC. The year is 2036. Zero-emission cars that are so aerodynamic as to be practically flat top out at 500mph. And racing is, well, largely as it was. The hairpins are not quite as tight as they were, but drivers still pursue the apex on tracks in Switzerland, Utah, Austria, and the UK. 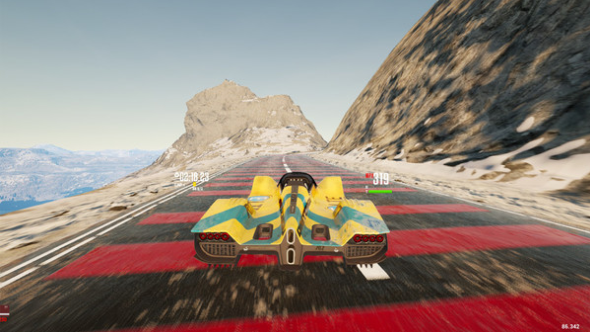 Bognar wanted to avoid the abstraction of F-Zero or Wipeout, where tracks are, more often than not, floating high above brightly-coloured cityscapes. Before Zerocar, Bognar worked as a level designer at the legendary Codemasters Racing Studio. 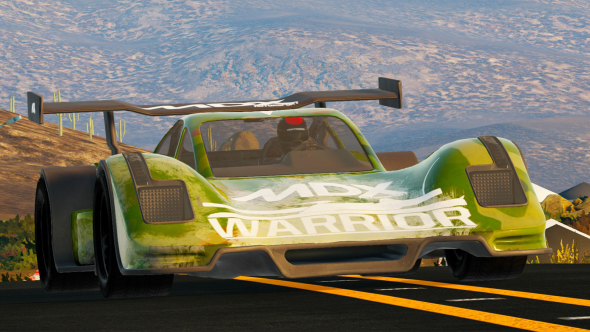 Although Codies’ driving games tend to stick rigidly to the here and now, inspiration struck while the studio were testing supercars destined for GRID 2 on the countryside courses of Dirt 3. There is another, more pragmatic reason for a setting that straddles the present and the future. Besides those he has purchased from the Unreal Engine 4 marketplace, Bognar is making all of the game’s art assets himself. Viewed from the backwards, carbon dioxide-pumping perspective of 2018, the physics of zerocars are something of a mystery. But Bognar has been able to approximate futuristic drift and braking by fiddling with Unreal Engine 4’s built-in vehicle component, taking advantage of the source code access the engine offers. Bognar’s tweaks and modifications have left Unreal Engine 4’s vehicle component mostly intact – he believes about 80% of the original code remains. “Because the cars are so fast, the tracks need to be a huge length otherwise they’re over in 30 seconds,” Bognar explains. Relying on Unreal Engine 4’s powerful visual scripting tool, Blueprint, the developer has circumvented the daunting task of decorating huge stretches of track by hand. Bognar has pieced together point-to-point tracks that reflect his rally leanings, but are short on tight corners – providing few reasons to slow down. Zerocar’s courses are, by and large, flowing and gentle affairs built for drifting. As such, you can see the entirety of its longest track in ten minutes. You would be unlikely to guess that it is 64km long. 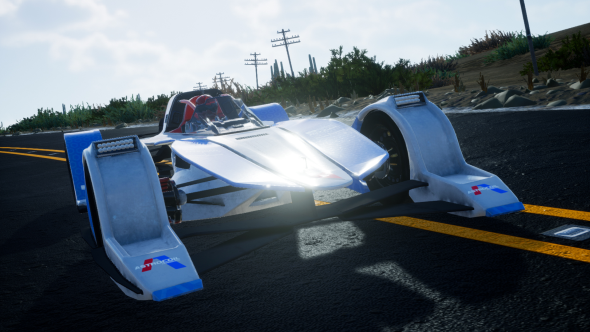 Zerocar: Future Motorsport comes to Steam Early Access today. Unreal Engine 4 is now free. In this sponsored series, we’re looking at how game developers are taking advantage of Unreal Engine 4 to create a new generation of PC games. With thanks to Epic Games and Evil Games.